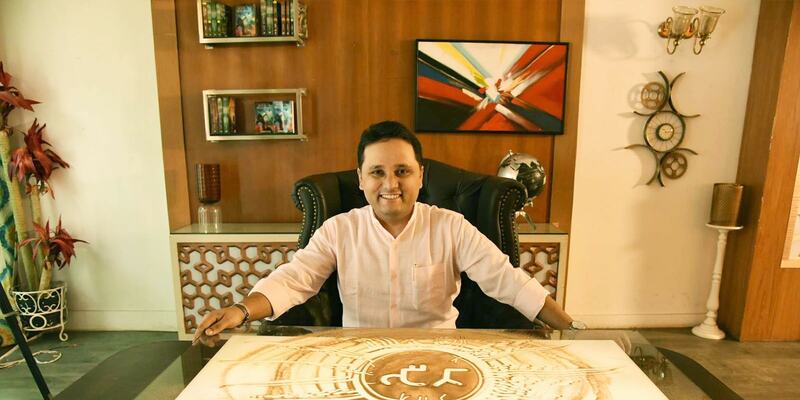 Amish Tripathi: Swearing By God - Bold Outline : India's leading Online Lifestyle, Fashion & Travel Magazine. BO- Leaving a cushy job to venture into book writing, not everyone can take that gamble. What was the moment when you decided to take that step? AT- Actually, it was a very pragmatic decision. I resigned from my job only with my second book, when my royalty cheque became more than my salary! I come from a humble family background and cannot afford to be irresponsible with my career decisions! BO- Was there support from family for this? AT- Yes. In fact, it was my family which encouraged me to resign from my job because I had been working on my books and holding down a job for nearly 5-6 years. And my family advised me that I could not burn the candle at both ends. Besides, since my books were earning enough royalties, I wasn’t really taking a ‘risk’ as such. BO- Do you miss corporate life? AT- Not at all! I am doing what I love to do, and I actually get paid for it! Life can’t be any kinder! BO- Considering the way your writings were rejected initially, what was the motivation that kept you going? AT- I wasn’t really thinking where my writing would go and whether people would accept it or not. I was just doing something I liked doing. So, in that sense, since I wasn’t really seeking external validation from anyone, the rejections from others couldn’t impact my motivation either. BO- How did Westland (the publishers) happen? AT- I had self-published my first book, Immortals of Meluha, since it was rejected by every publisher it was sent to. Westland was one of the distributors for the book. That’s how I got to know them. 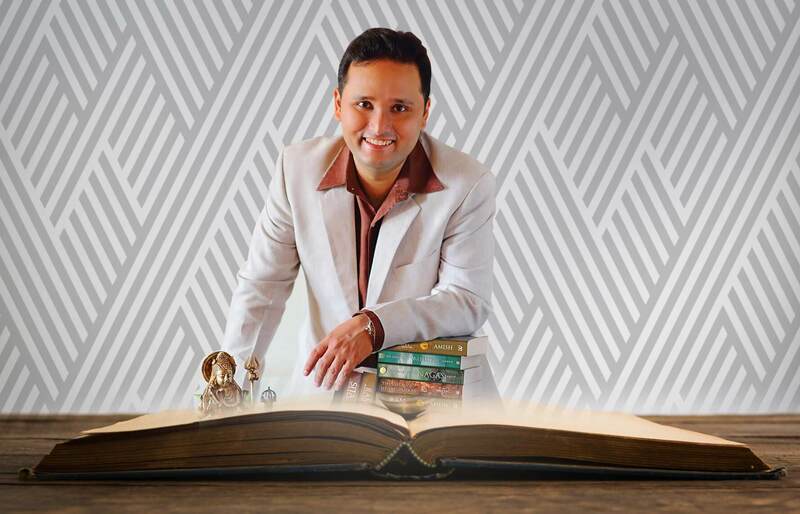 With God’s blessings, the book had started doing very well even when I had self-published it. And, many of the publishers, who had rejected it initially, came back to pitch for it. I went with Westland as publisher since I already knew them. BO- How does it feel now to be the author of a fastest growing series? Did you expect this windfall? AT- Not at all. I am living a dream, don’t wake me up! BO- You have managed to make the Indian Gods hip and relatable, especially to the youth. Was that the idea? AT- Who am I to make our Gods hip? In fact, the stories of our Gods have always been cool. I am only trying to present their very cool stories in a modern way. But more importantly, we can learn many philosophies from their stories; philosophies which will help you lead a better life. BO- You must have come under criticism from some rather religious sections of society for your interpretation of our mythology. How did you react to that? AT- Not really. I have not faced any protests or anything. Having said that, of course no author can expect his book to be universally liked. There are some who don’t like my interpretations. But, I think even those people will accept that my books are written with respect towards our Gods and our culture. I am very proud of our ancient culture and I think that shows in my books. There have been no controversies around my books. AT- You know, books tend to come to an author’s soul based on the knowledge that he/she has. I have learnt a lot of our ancient culture and mythology from my family. I also read a lot. And among my favourite genres to read are spirituality, mythology and history. Hence, I guess it’s natural that stories tend to occur to me in these areas. BO- Are you a religious person? Do you pray and go to temples? AT- Yes. I am a very proud devotee of Lord Shiva. I wear an Om Namah Shivaya kada. I wear a Rudraaksh mala. I do the Maha Mrityunjay jap every morning. I visit a Lord Shiva temple close to my house regularly. I follow the rituals that give me peace. I don’t follow rituals that I do not believe in. For example, I do not pour milk on the Shiva Linga. I buy a packet of milk and gift it to beggars outside the temple. At the same time, I will not judge those who do choose to follow rituals that I may not follow. To each his own. BO- In an interview, you had said your subjects are decided by fate. Please elucidate. AT- I do believe that. Look at my example. In a way, even the subjects I write on were decided by fate. I was born in a deeply religious family, and hence learnt a lot about Indian culture, scriptures and mythology. Also, I have always tended to read more non-fiction. 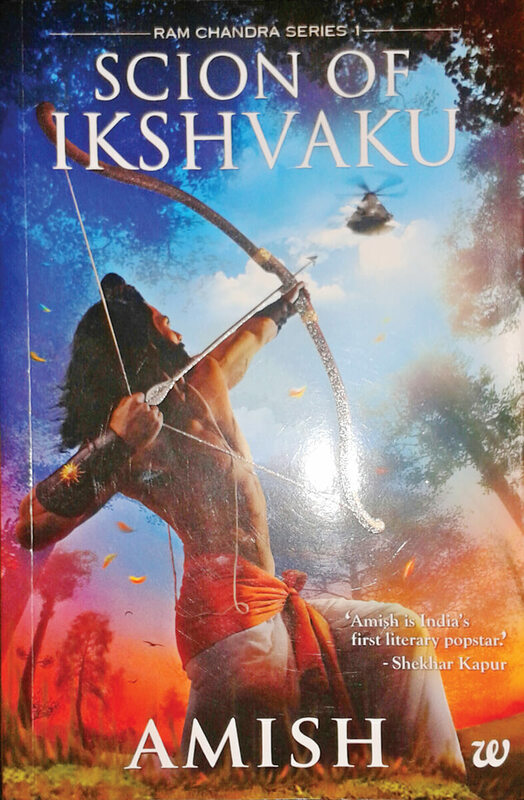 And, among my favourite genres to read have been mythology, spirituality, history and science. All of them are useful in the subject I write my books on. So, even before the thought of writing a book occurred to me, life was preparing me for it. Can’t that be called fate? BO-Have you always been a writer? AT- No. I have always been a voracious reader. I never thought I was going to be a writer. 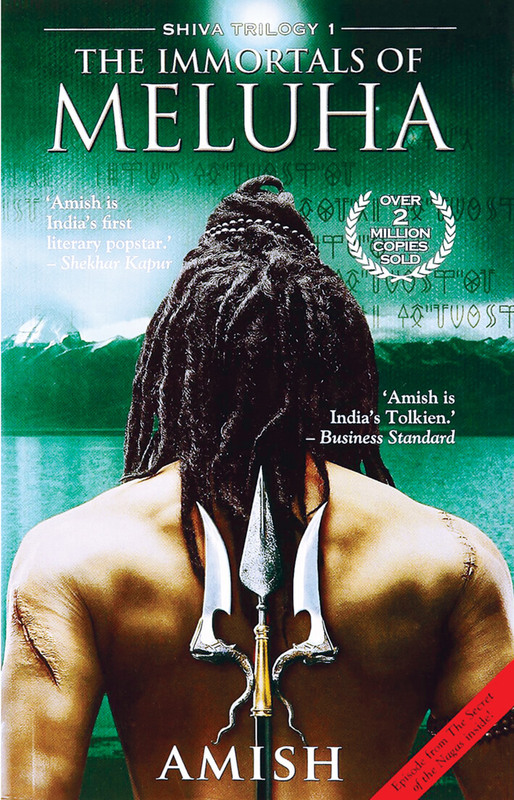 In fact, Immortals of Meluha (my first book) was the first piece of fiction I had ever written in my life! BO- What do you think of the other writers of the same genre? Anyone you particularly like? AT- I tend to read a lot more non-fiction, I must admit. 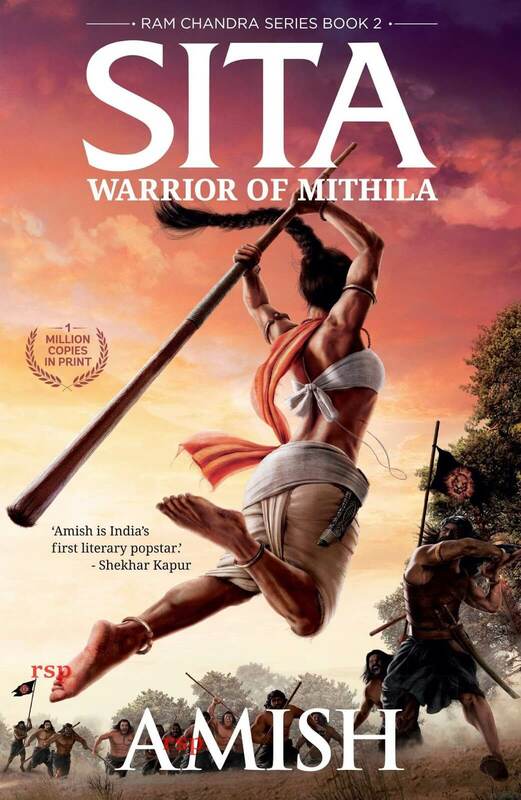 But among the Indian writers who write in the mythology/fantasy space, I like Ashwin Sanghi, Devdutt Pattanaik and Anand Neelakantan. AT- For research,well, I read a lot. I travel to many historical places. That too is research. So, anytime when I am not writing is, in a way, time for research. As for my writing process, I normally write in the mornings. I am an instinctive writer. I sort of discover the story while writing; I don’t ‘plan’ it. I listen to music while writing. And, I eat a lot of cream biscuits while writing! BO- You are quite prolific too. What’s the secret? AT- I am completely focussed on work. I don’t waste time on too much partying or TV debates or anything else. I love what I do. So, I just try to find as much free time as I can to focus on anything associated with my books–whether it’s research, the business aspects, marketing, or the actual writing itself (which I obviously enjoy the most). BO- You are also known for your marketing genius. How crucial is it in today’s times? AT- I don’t know if I am a marketing genius or anything. But, I do have a brilliant team. I am lucky in that sense. I believe that marketing is extremely crucial in today’s times. A good book doesn’t sell itself. That’s a fallacy. You need a good book and good marketing to ensure success. BO- There were talks about one of your books being made into a movie. What is the current status? AT- I will certainly tell you when we are close to making an announcement. BO- What next after Shiva and Ram? Krishna? 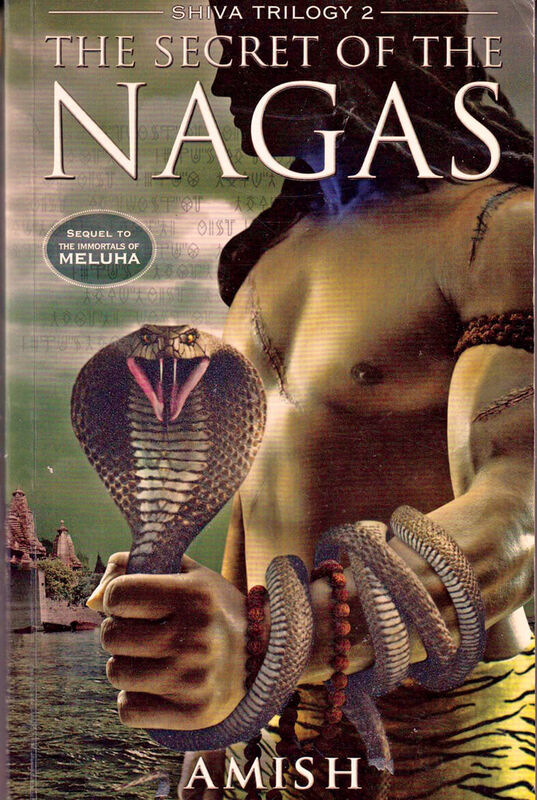 AT- The Ram Chandra Series is a 5-book series. So, it will take a few years. I haven’t decided what subject I will write on after that. But, it could be the Mahabharat, in which, of course, Lord Krishna will be the main character. So, let’s see. I will also have a series of historical fiction books coming out through the Writers’ Centre I have started. I will make some announcements on that too in due course. BO- Will you ever experiment with any other genre? AT- Yes, actually. I am experimenting with the post-ancient historical fiction genre also (i.e. books set in the last 2,000 years). And, you will see some books from me soon. BO- You are a celebrity today. What are its perks and how is it a bane? What keeps you grounded? AT- I am not really a celebrity. People don’t recognise me on the streets. My name may be known, but my face is not, which is good. I lead a normal life. BO- What is your message to budding writers? AT- Always write with your heart. Whether a book succeeds or not is upto fate and God. So, don’t let the desire for sales or awards corrupt the book.